Greetings from the brethren of North Bank Lodge #182! 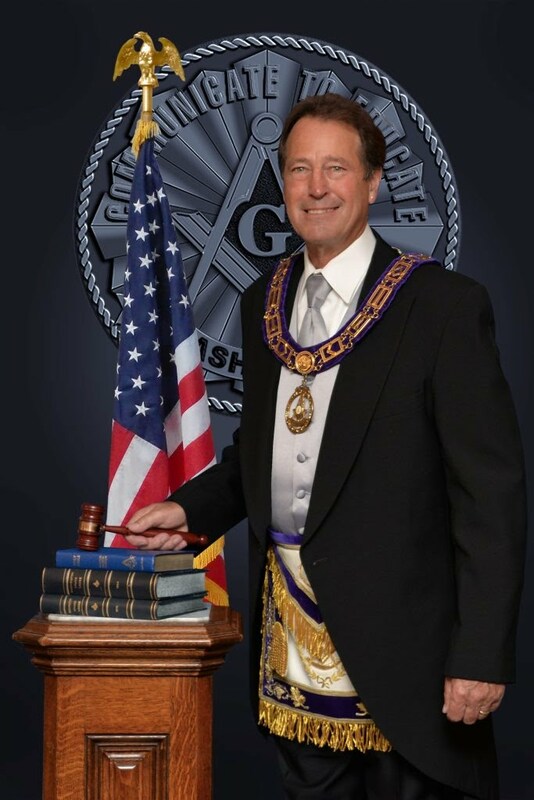 This post is being written on the heels of our first lodge meeting of the 2012-13 Masonic Year. This lodge meeting was quite an event, where North Bank honored our Past Masters, as well as presenting service awards to our long serving lodge Brothers. The evening began with a fantastic meal, prepared and presented by Michele West and Debbie Erickson of the Lackamas OES chapter, which meets at the Washougal Masonic Center. As always, Michele and Debbie produced a fantastic meal, with a little cheesecake for dessert; quite tasty all around! WM Mac Parker then made a brief presentation of a video, produced by the Scottish Rite, about the history of the Stars and Stripes. It was quite enjoyable hearing about the history of our flag, and the events surrounding its creation. Based on the dates each of these fine Masons were raised, they represent well over 600 collective years of service in the quarry. Quite a humbling thing to reflect on how much all of these brothers have done in service of Clarke and North Bank Lodges, as well as Masonry in general, in Washington as well as all the other places they've traveled. Each Past Master received a gift from the Lodge and our Worshipful Master, including a fantastic photo album created by WM Parker's lady. If this wasn't enough, WM Parker had one more award up his sleeve, which was to award a Masonic Webmaster's Pin to Br. Kurt Gazow, who maintains the lodge website. Br Gazow was quite surprised to be escorted to the East to receive this wonderful pin, which as an IT Professional, he is quite smitten with. Masonry and Technology; a powerful combination! More photos will be added to the Lodge Photo Gallery in the near future. In addition to all of the honors bestowed on our North Bank brothers, the lodge balloted on a gentleman petitioning for membership. The ballot was clear and bright, and we expect to welcome a new Entered Apprentice to our lodge very soon. All in all, a wonderful start to our 2012-13 Masonic Year. From degree work, to our annual crab feed, to programs discussed in our Long Range Planning committee, our year looks to be busy, but very fun! Come out and visit us at North Bank; we'd be happy to see you!